Out of the fire of love come ashes. Even the greatest love eventually fizzles out. 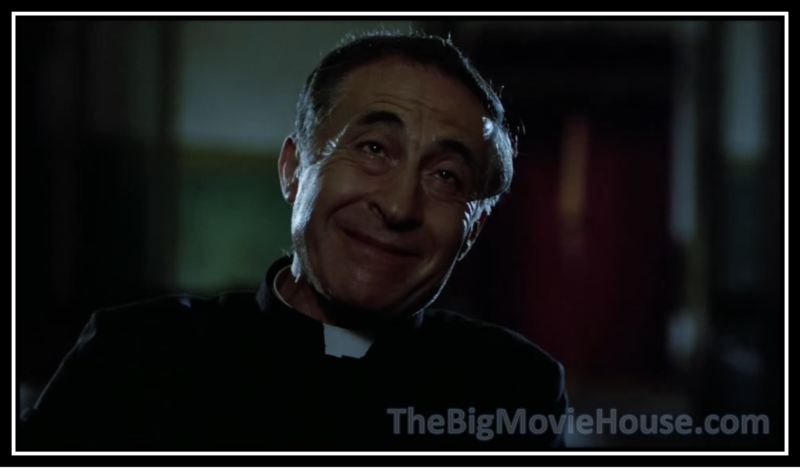 A nice overview of director Tornatore career, but it barely touches upon Cinema Paradiso, which is a shame because it is the film that Tornatore is best known for. Still, anyone who wants to see what other films the director has done, this is the documentary for you. This is a proper making of, touching all of the key points of the film, while also talking about the different releases of the film. This feature is kind of like the show that use to be on the Sundance Channel or the Independent Film Channel called “Anatomy of a Scene”, where a scene would be broken down into its parts to see what made a scene special. 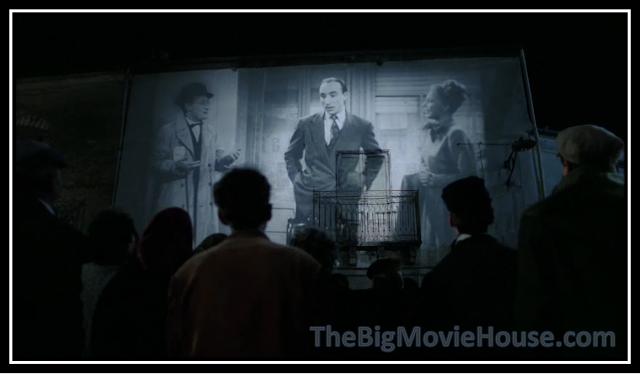 This feature does just that with the scene that ends both versions of the film. We get to see what it took to make this scene so special. Marcus is the lead in this commentary track. Tornatore, who was recorded separately, chimes in every now and again, in English, to give us his take on certain areas of the film. 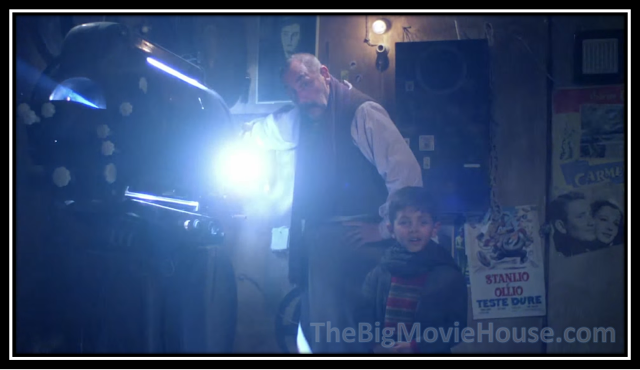 Marcus falls into the trap of narrating the film more often than going deeper into the film. The track can be a chore to watch because of this. This is the trailer that appeared on so many of the VHS releases during the 90’s. I remember seeing this trailer any time I rented a Miramax film. This trailer brought up a ton of memories for me. 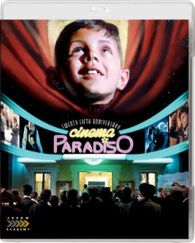 Scanned in 2K and presented in a 1.66:1 aspect ratio, Cinema Paradiso looks amazing. I remember watching this film back when it first hit dvd and I always thought that the film could have looked better and now it know that it can. The film displays a lot of detail especially in close-ups. The colors pop and skin tones are correct. There is even a sense of depth in some scenes. 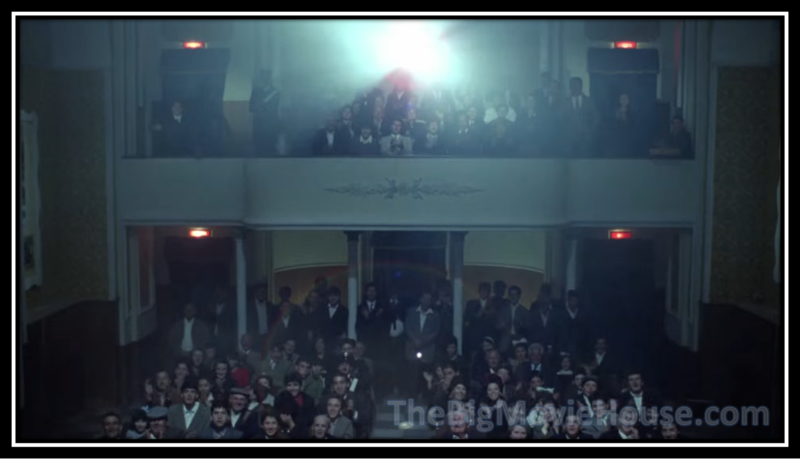 Both versions of the film come from the same transfer and there is no sign of any DNR or other digital manipulations to the transfer outside of repair. 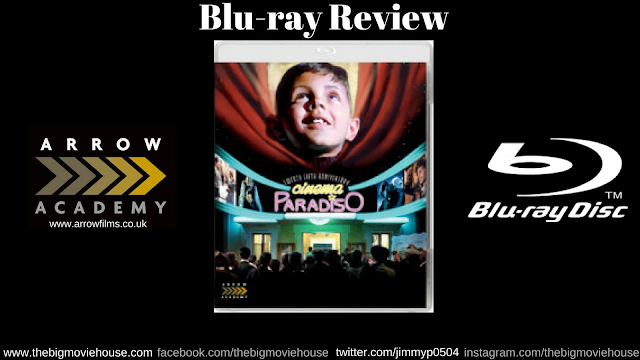 The film is presented in its original language of Italian with the option for a 5.1 DTS-HD Master Audio track or the film’s original 2.0 track in the form of a LCPM track. The film sound great in either format with the 5.1 does opening up the world that the film takes place in, but I think that that purists will go with the original 2.0 track because that is how the film was recorded. 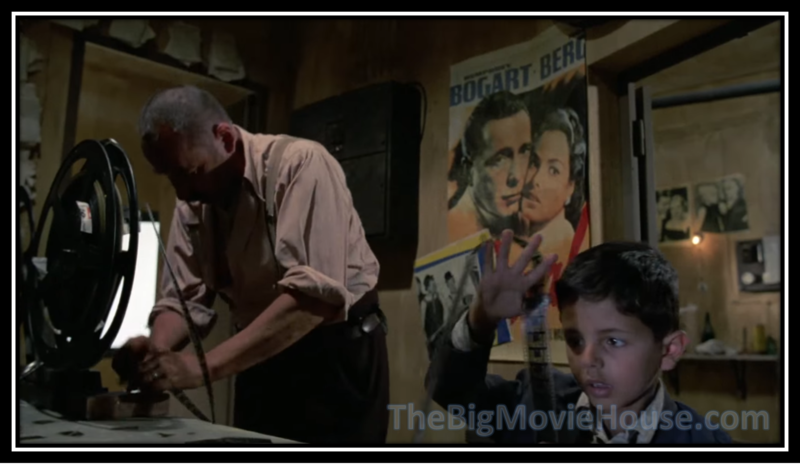 I remember when Cinema Paradiso hit the U.S. market. The American film critics went crazy over this film. Siskel and Ebert loved the film and talked about it all the time and I was a big fan of Siskel and Ebert, so I had to track this film down to see what was the big deal. Sadness came over me when I found out that the film was only released in subtitled version with no dubbed version in sight. This was during the time of VHS and, thus, no multiple language tracks. Keep in mind that I was a kid when this film came out and was scared at the thought of having to read an entire film. Of course my mind has changed on this, but I was an uninformed kid who wanted to watch films in English. that I had heard of all those years ago. Back then I did not like the film and I still have the same feelings today about it. I love that this film is about the love people can have for film and how going to the theater can change someone’s life, but I never really identified with any of the characters. The film is well written, well directed, and well acted. So why do I not connect with film? I really do not know. I have seen both versions of the film a few time, even owning the special edition dvd that was released in 2006, and I can not get into the film. I like the nuts and bolts stuff with the priest that rings a bell every time he thinks that a scene or a shot should come out of the film, but the rest of the film falls flat for me. I really want to like this film. As a film lover, I believe that I am supposed to like this film. Maybe that is why I don’t like it. Maybe my mind is not letting me like the film because it is trying to revolt against me. It is like how everyone LOVED Titanic when it was in theaters and when it hit VHS, but once the dvd came out, people started hating the film. My mind has done some strange things in the past, so I don’t doubt that one bit. 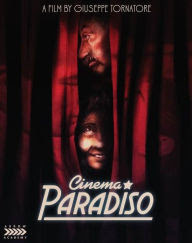 Regardless of what I say about Cinema Pardiso, check it out, especially if you are a film lover. I am sure that you will connect with it more than I did. It does seem that film lovers jump all over this film, so if you fit the bill then watch the film. I am sure you will love it. version of the film getting the special features. The picture quality here is amazing and the sound quality isn’t half bad either. While Arrow has not created any new special features for this release, they have included most of the features that were available on the special edition dvd that was released in 2006. If you are a fan of this film then this package is a no-brainer. If you are on the fence, then give the film a try. You may love, you may hate, but you won’t be in the same boat that I am in.